Differentiate between linear and non linear data structures. Discuss the variations of a queue. Write an algorithm to convert an infix expression to postfix expression. Show the working of the algorithm for the following expression. Evaluate the following postfix expression using a stack. Show the steps. Consider the stack S of characters, where S is allocated 8 memory cells. Describe the stack as the following operations take place. Write a program to implement queue and check for boundary conditions. Write a program to implement a circularly linked list. List the advantages of a doubly linked list over singly linked list. Write an algorithm to swap two nodes, n and n+1, in a singly linked list. Perform inorder, postorder and preorder traversals for the following binary tree. What is the peculiarity of the inorder traversal? What is a header node? Explain its importance. Write an algorithm to count the number of nodes in a singly circularly linked list. What is a binary search tree? 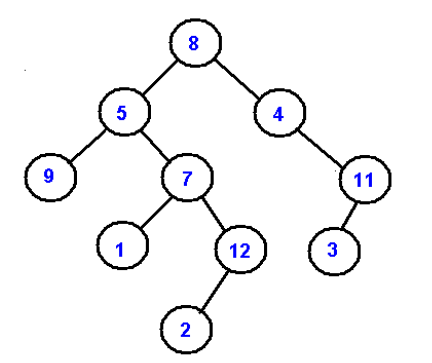 Create a binary search tree for the following data. Explain deleting node 20 in the resultant binary search tree. Explain the working of the Kruskal’s algorithm. Write the algorithm for binary search and find its complexity. Discuss different representations of a graph. 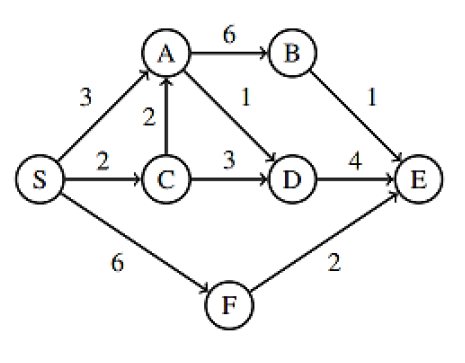 Apply Djkstra’s algorithm for the following graph with Node S as the starting node. What is the complexity of the quick sort algorithm on sorted data? Justify your answer. What is hashing? Explain hash collision and any one collision resolution technique. Explain the difference between insertion sort and selection sort with an example. What is the time complexity of these algorithms? How? List the qualities of a good hash function. Apply merge sort algorithm for the following data and show the steps.